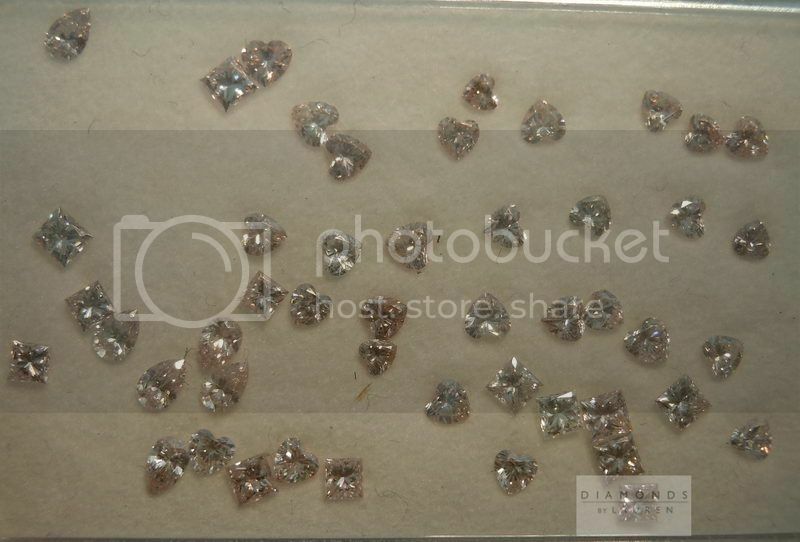 We purchased this parcel of pink diamonds back in 2012 - and just came up with a great use for the tiny pink heart shaped diamonds. 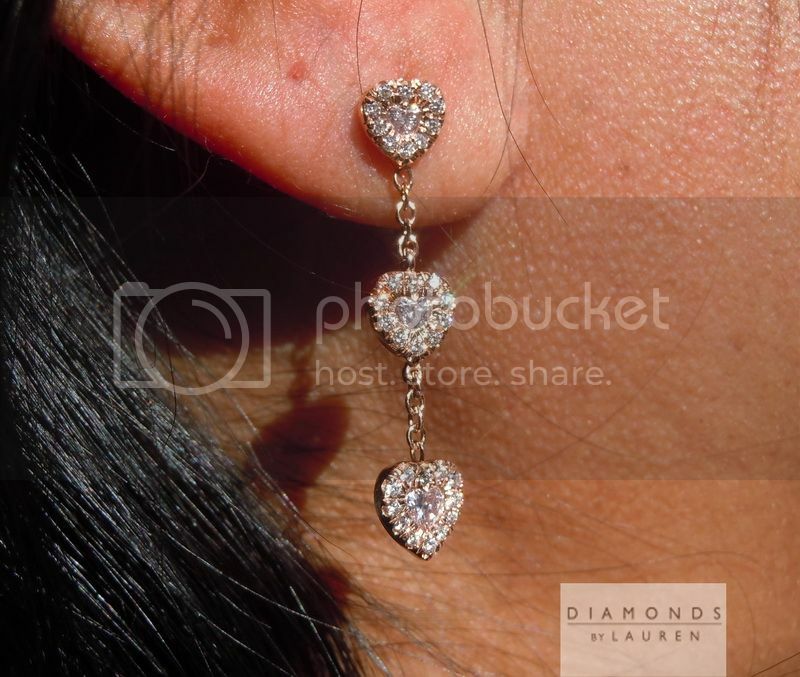 The earrings are stunning from across the room. They dangle 1.25 inches from the post. Once you examine them closely there's great beautiy as well. 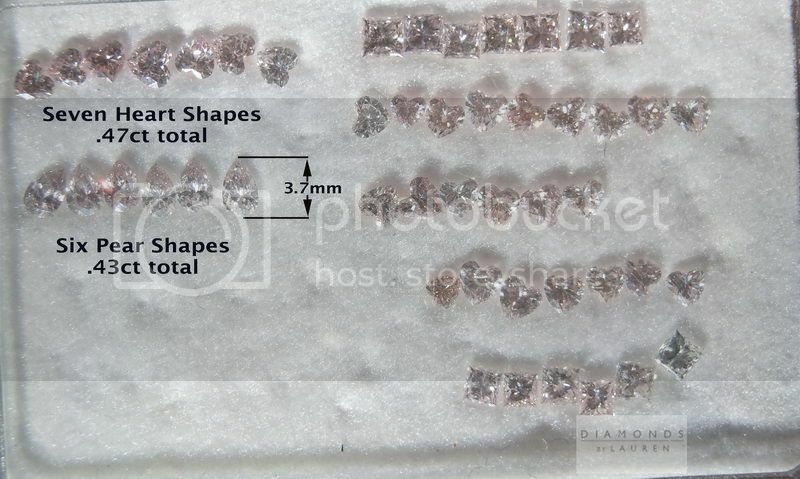 Each little pink diamond has it's own personality. The colors vary a bit. Some are light pink- others border on Fancy Pink- and the color is pure. From even 2 feet away, you really can't make out the differences in color between the heart shapes - they are pretty small. 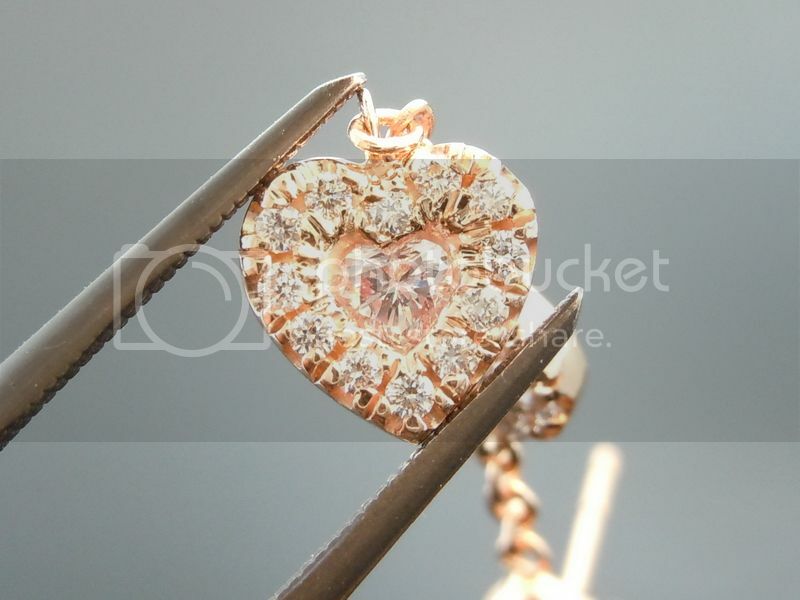 We used white diamonds set into pink gold to surround these pink heart shape diamonds. I love the effect. 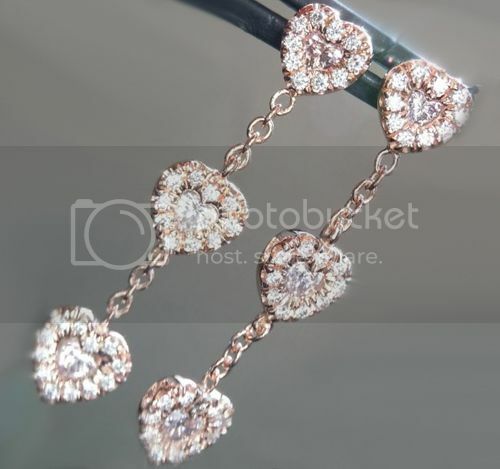 Certainly a one of a kind pair of diamond dangle earrings.